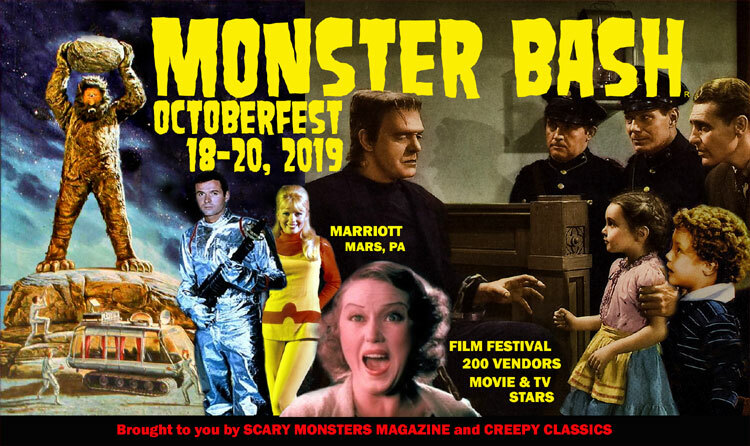 MONSTER BASH, OCTOBER 18-20, 2019! CLICK HERE to find out about the Monster Bash Film Festival & Expo in August. Make sure to ask for the MONSTER BASH discount room rate at the host hotel, the Marriott Pittsburgh North, Cranberry Township-Mars, PA! Call (724) 772-3700.